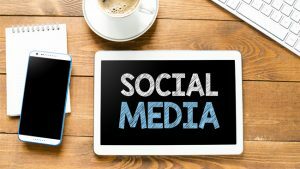 Can You Really Use Your Social Media Profiles To Get A Job? 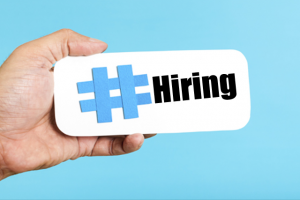 Can You Really Use Social Media To Get A Job? Would you ever think to look for a job on Facebook, Twitter or even Instagram? Well, if you haven’t, you should. More people than ever before are finding their dream jobs thanks to our favourite social media sites. So today on the Blue Glove Jobs Blog, we’re looking at how to utilise social media to help you in your career! Let’s freshen up your social media. More than 68% of employers admitted to looking at candidate’s Facebook pages before inviting for an interview. Facebook, after all is the second most popular social media site after YouTube. So it’s probably time to freshen up and have a spring-clean of your Facebook page, and other social media accounts. Go through your pictures, recent and old posts, and shares, and make sure there is nothing there that could scare employers away. You might love a wild weekend with your mates, but does your future employer want to see you being sick on a pavement after a night out? probably not. Does your future employer want to see you being tagged in inappropriate videos? We’re going to say no to that too. Untag yourself from anything a little bit uncouth and get rid of anything that could prevent you from getting a job. We don’t mean that your social media sites need to be entirely void of any personality. After all, your pages should represent you. But you don’t want to give employers a negative impression before they’ve even met you. Put it this way – if you wouldn’t want your gran to see it, you probably wouldn’t want your future boss to see it either! Don’t try to put on a persona on social media. Being honest and being yourself is vital. Ultimately, you want to have a positive, employable and approachable presence if you are online and active on social media sites. Don’t be afraid to reach out and network to others. Don’t be afraid to say that you’re looking for new opportunities. This can help you connect with people in the same boat, or people who are looking to recruit. If you have a portfolio, share that out online too, you never know who it might impress! What will you do if someone reaches out to you? You have to be ready to respond. Is your CV up to date and ready to fire off to employers at the drop of a hat? Is your LinkedIn profile as good as it can be? Does it make you a stand out candidate? Be ready to engage. Keep on top of your professional profiles so that you can engage with any employer if the chance arises.